Stretching the One Income Dollar: Printable Coupons- Do Your Stores Allow You To Use Them? 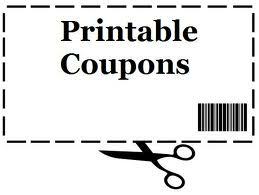 Printable Coupons- Do Your Stores Allow You To Use Them? So I've ran into a few problems with printable coupons from the internet. A few stores that I frequent to do most of my shopping, will not and do not take them. I am wondering if anyone else has come across this problem?